A fourth-generation resident of Clear-Ridge (as Clearing and Garfield Ridge are most often referred to by residents), Rob Bitunjac is the manager of the Clearing Public Library and the president of the Clear-Ridge Historical Society. I can go all the way back to my great-grandfather. Just to the west of here in the suburb of Summit is a place called Argo Corn Products, that was built just around the turn of the century, a huge factory that sort of started the industrial boom over here. The story in my family is, my great-grandfather helped build that…. And then he lived real close to where I live now. Four generations of my family went to the same CPS school…. And that’s part of the reason I started the [Clear Ridge] Historical Society. We formulated the Historical Society in 2011. Myself and a group of other longtime locals decided that it would be interesting. We were collecting all of this stuff and we didn’t know what to do with it, and the history of this area is important for not only the airport—which is really the only landmark that we can tell people—or the railyards…. That’s a lot of our history, but like anywhere else there’s a lot of local history. This part of the city wasn’t even part of the city till 1915, so there’s not a lot of old, old history. And the really old stuff [is from] before it was part of the city, so it’s hard to track down any information. If you have a house that was built before 1915 out here, it’s difficult because the records aren’t necessarily at City Hall. ‘Cause [Clear-Ridge] was part of Stickney, it was part of Lyons, it was part of a lot of different things. You know the history of [Midway], that it belonged to the Board of Education? 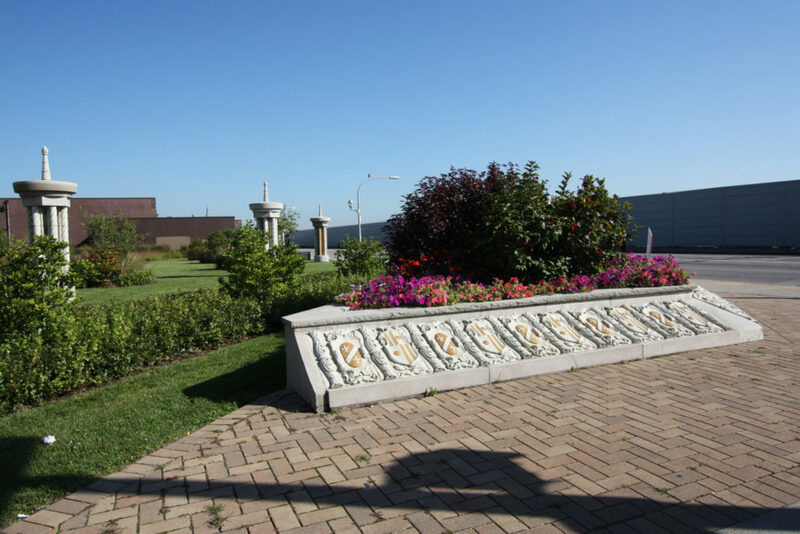 By some proclamation in the 18th century, Section 16 of every township—township don’t mean much nowadays, but townships are made up of 32 square miles—was always to be set aside for the Board of Education. So originally [Section 16] belonged to Lion’s Township. Then it became part of Stickney Township. There used to be farmland there, there was a golf course, there were railroad tracks going through the middle, there were a couple public schools on the property. And all that money went to the BOE [through rent]. [Since 1915] all that land belongs to the city of Chicago. A lot of [Stickney’s] history is intertwined with ours. If you drive down 63rd Street right [near Central], there’s a building and, on top, it says 1912. Well, that was the Town Hall for Stickney Township from 1912 to 1915. When the City of Chicago annexed that building, the city of Chicago people came out and changed the locks (well, that’s what the story is in that Clearing book). When the Stickney township people went to go into the building and their keys didn’t work, and the city guys called down and said, ‘Sorry this isn’t part of Stickney anymore, you guys are out.” It ended up that they shared the building. It’s condos now, but that story kinda illustrates the back and forth. When the airport changed hands from Stickney to the city of Chicago, there was a court case in the 1940s where Stickney claimed that it was never properly transferred over, and that they’re due all this money from the airport renting this space. They tried to sue the city of Chicago before they got the case thrown out due to lack of evidence. People around here always think that they’re gonna expand the runways, and they’re gonna take over their houses. That’s been a threat for fifty years now, but it’s never gonna happen. … They’re never gonna cut off 63rd Street from the rest of the city. You’re not gonna cut off 55th Street or Central Avenue or certainly not Cicero, because that’s the link to the Stevenson Expressway. But they are acquiring lands very passively. Our base is mostly just doing programs. We’ve had all kinds of speakers, in fact, we’re having Dominic Pacyga [author of Chicago: A Biography] here in late October. … Just about every Chicago history-related topic we’ve had in one form or another. It’s great, cause I work for the library, so either the historical society could pay for it, and the library can be the venue for it, or sometimes the library pays for it, and the historical society can help promote it. There’s a lot of other local organizations that have files, and we keep those as well. There’s a newspaper guy in the neighborhood, Tim Haydek, he’s the editor of the Southwest News-Herald. We kind of act as a repository for their microfilm, too. Just the little stuff to help—there really was no outlet for this kind of stuff in the neighborhood. Newspaper clippings, photos, I’ve had people give me physical objects…. Two years ago they tore down a building, at 63rd and Central here, and I have pieces of the building. And I have other physical things…. When they opened the Orange Line, in 1993, people had these orange baseball caps and little flags and banners, so they donate all that kinda stuff to me. If you were, as so many people do each day, leaving or entering Midway Airport by air, you might look out your window during touchdown or take-off. And if you were, as many people often are, feeling particularly paranoid on that day, you might look out and see two rows of stone columns in an unassuming pocket park just past the southwest corner of the airfield and think to yourself that they were arranged at an angle that appeared suspiciously Masonic, their placement plotting out either half of the Square and Compasses. You’d be wrong about the conspiracy—or, at least, the responsible party—but you’d be right to think something strange was going on at the corner of 63rd and Central. Seen from ground level, the structures are no less enigmatic: a half-dozen ornamented monoliths, each with a spire on top. Fortunately, there’s a sign that explains most of what’s going on; walk down the street to Dianne Johnson’s shop, Midway Jewelry, and she’ll fill in the rest of it. It turns out that the columns are the last remnant of the Crane & Moreland building, put up in 1927 and designed by Edward G. McClellan, the same architect behind the Roberts Temple Church of God in Christ where Emmett Till was buried. In 2012, the Federal Aviation Administration and the City of Chicago decided that the Crane & Moreland building, which then occupied the entire corner, presented too much of a threat to air traffic because of its proximity to the airport’s runways. When they bought it and planned for its demolition, local residents affiliated with the Clear-Ridge Historical Society protested. “We had stacks and stacks of petitions. Everyone who came into the store signed one,” said Johnson. “But it’s hard to win when you’re fighting the FAA.” In 2014, the building was torn down. W. 63rd Street and S. Central Avenue. Cafe Rosa, 5842 S. Archer Ave. Tuesday–Saturday, 11am–8:30pm; Sunday, 11am–7pm; closed Monday. (773) 581-2982. On a snowy night thirteen years ago, a Southwest airplane crashed through Midway Airport’s airfield barriers and into the intersection of 55th and Central Avenue. With a child killed and several others injured, the first major crash at Midway in twenty-nine years, it made national news. Reporters hung around the neighborhood following the accident, remembers Dianne Johnson, owner of Midway Jewelry, which sits just past the airfield’s southwest corner at 63rd and Central. She remembers that one reporter stuck around for weeks, eventually admitting that his editor wanted to know when Johnson would be moving to a new location. Johnson says she laughed at the thought that one accident might scare them—or anyone else in the neighborhood, for that matter—away from the runways after forty-some years in business in that very storefront. “Most people here have a romance with the airport,” she says. Midway Jewelry’s interior walls, all but obscured by posters and photos, lovingly showcase that romance. One particularly arresting photo catches the red belly of a Southwest plane as it hovers seemingly meters above the jewelry shop’s roof. Under the photos are boxes of pendants and jewels along with shelves of mostly local and self-published books about the airport, the neighborhood, and their entangled histories. 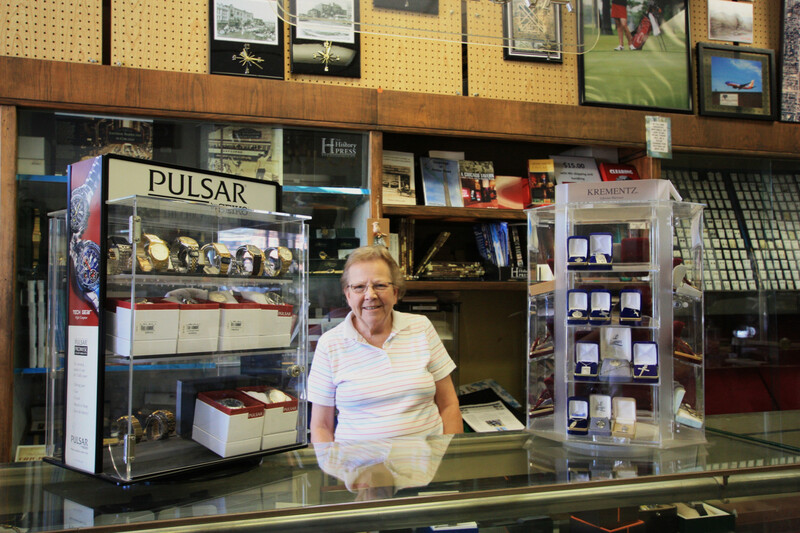 Johnson, who is a member of the Clear-Ridge Historical Society, has been stocking books alongside jewels for the last fifteen years, after coming across a book published by Lake Claremont Press about the first seventy-five years of Midway’s existence. In just a couple days, she sold hundreds of copies of that book, and has sold hundreds more since. Every day but Sunday and Wednesday, when the shop is closed, Johnson buzzes a steady stream of customers through the door. Most of them come for jewelry adjustments and new batteries but keep a close eye on the shelves for new titles. On a recent visit, a man flipped through the Encyclopedia of Chicago while his wife waited at the counter. It’s one of Johnson’s newest additions—she played the long game on eBay, waiting to buy the book, which retails for $65, until it dropped down to $7—but it’s one of the few titles that’s not for sale. Midway Jewelry, 5635 W. 63rd St. Monday–Tuesday and Thursday–Friday, 9:30am–6pm; Saturday 9:30am–2pm; closed Wednesday and Sunday. (773) 767-1633.